STATIONARY is a British short film about staying put versus moving forward. About masculinity, fractured friendship and looking beyond your own experience. 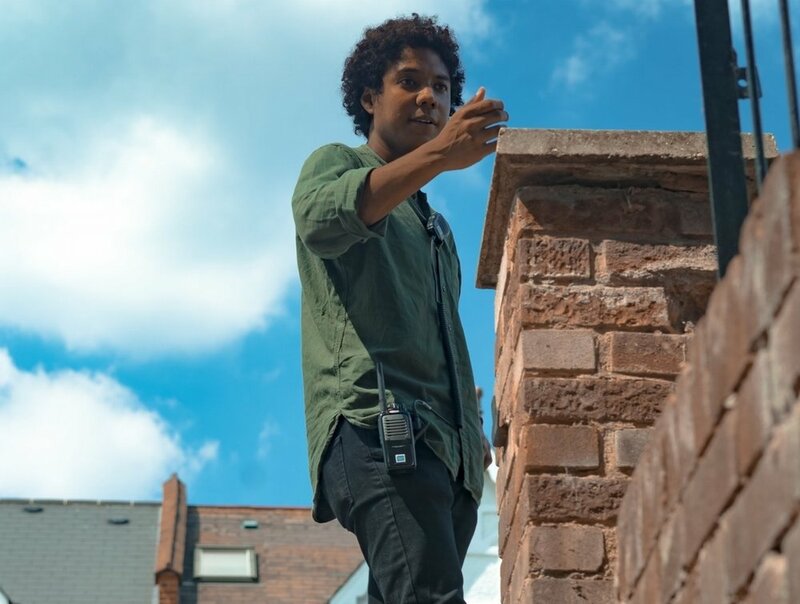 Taking place in a parked car over the course of one afternoon, former drug dealer Jimmy confronts his drug dealing childhood best friend Che about the dangerous road she is leading her younger brother Gino down. But is this really why he's here? And why now? Friendly reunion soon turns violent intervention with Jimmy and Che at each other's throats with what is left of their broken friendship hanging in the balance; as well as Gino's future. You can check out our IMDB page by clicking here. 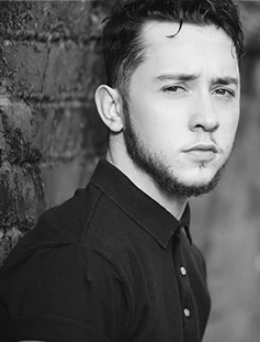 Aaron Thomas Ward is a rising star with credits including “Call The Midwife” on BBC and the features “Accident Man," “Lie Low” and "Nefarious." Horror fans may recognise Aaron from his lead role in Crypt TV’s massively popular short film “The Birch” from 2016. A very natural and adaptable actor, with strong dance, animal movement and fighting styles. His commitment to each role is based on finding the truth in a character and bringing it to life on screen. Rebekah is an actor, director and facilitator from London, trained with National Youth Theatre, Tricycle Young Company, The Actors Class and ALT. Her work in theatre includes Nine Night (National Theatre); The Host (National Youth Theatre); and Puppy (Vaults Festival). TV includes Roman Mysteries and Myths (BBC); and Being Victor (MTV). Xavien is a confident performer with a lot of character and charm. He has most recently worked with Minnow Films for Channel 4 on new TV series, The Watchman. 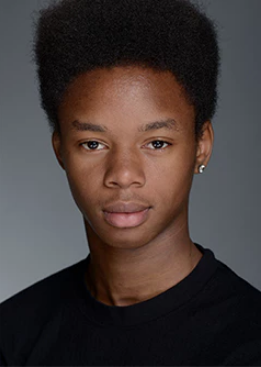 Xavien appeared as Michael in both series of Channel 4`s Top Boy and also worked with Hartswood Films on BBC comedy Me & Mrs Jones and appeared in the Ill Manors music video for Plan B as well as short film What If… for Vertigo/ BBC/ Film 4 as part of the Cultural Olympiad 2012. Xavien has also worked with acclaimed Director Rankin on his short film Balance for Channel 4′s Random Acts. Meet the team who are putting this film together! Louis has been working as a Director and Editor for the past five years on projects ranging from fashion commercials to online content and short films. Clients include Unilever, Corona, Budweiser, WeTransfer, Rankin, Hunger TV, Coco De Mer, Triumph, Neutrogena and Microsoft. Louis completed directing his first documentary ILIA in 2016 which went on to premiere at the BAFTA recognized Aesthetica Short Film Festival in York. Louis was selected for the professional talent development programme 'BFI NETWORK x BAFTA Crew' (2017, 2018) for upcoming British filmmaking talent as well as B3 Media's Talent Lab and Encounters Widening the Lens 2017. Colombian born and raised in East London, Jonathan’s background is in documentary filmmaking for the BBC, Channel 4 and Sky Arts as well as online platforms such as VOD, Random Acts, and ALL4. These projects focused on topics such as urban youth culture, The Mod movement and Northern Soul Culture. Jonathan has also worked on music projects which featured Dappy, Liz Bizu, and Paul Weller amongst others. Since 2012, Jonathan has been curating the youth brand of the East End Film Festival, Cutting East. For Jonathan, STATIONARY is an extension of his previous work and he's excited to mark his first foray into the medium of drama and fiction. Alexei worked at former Beatle George Harrison's famed production company HandMade Films for over seven years before founding Turn The Slate Productions where he has produced/exec produced seven successful short films that have screened in dozens of film festivals and won many awards. Alexei met Louis at the BFI Network x BAFTA Crew and is advising on the production. Samira is a London based cinematographer. Originally from Germany, she has lived in Iceland and worked across Europe. Her fine short film work has already screened at some of the leading film festivals including Cannes, Edinburgh, Bristol Encounters and Raindance. Samira worked at a kit house and as a camera assistant for several years before studying Cinematography at the prestigious National Film and TV School (NFTS). Samira is a junior member of the BVK, the German Society of Cinematographers.